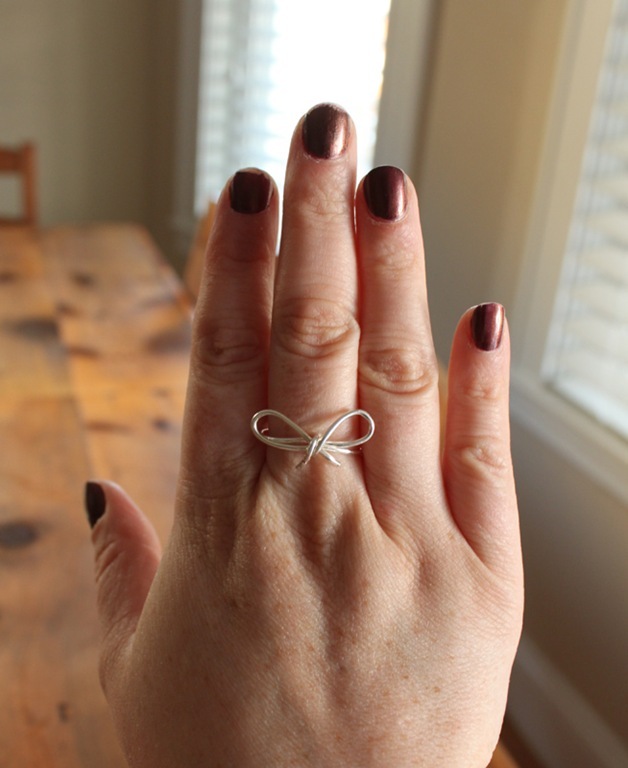 Lately I’ve been in a super crafting mood. I think it’s the change in seasons; my creativity always peaks in the Fall. 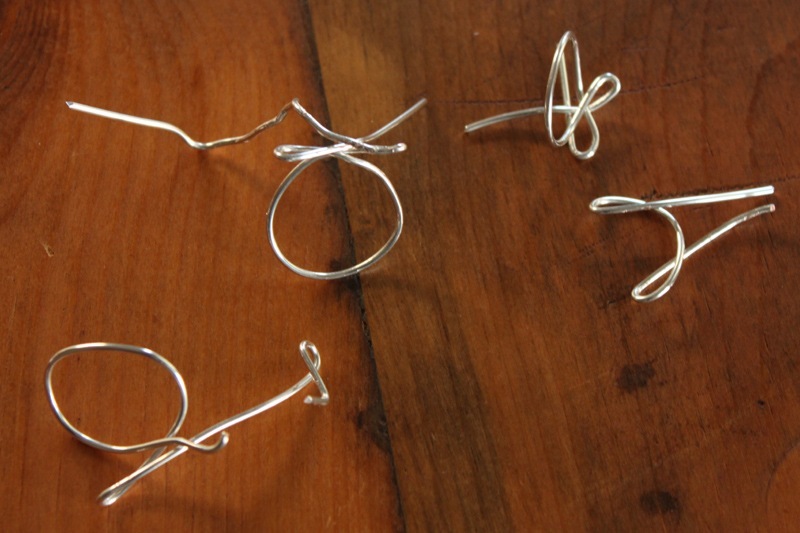 It’s also easy to be inspired when there are so many great ideas and tutorials on the web. 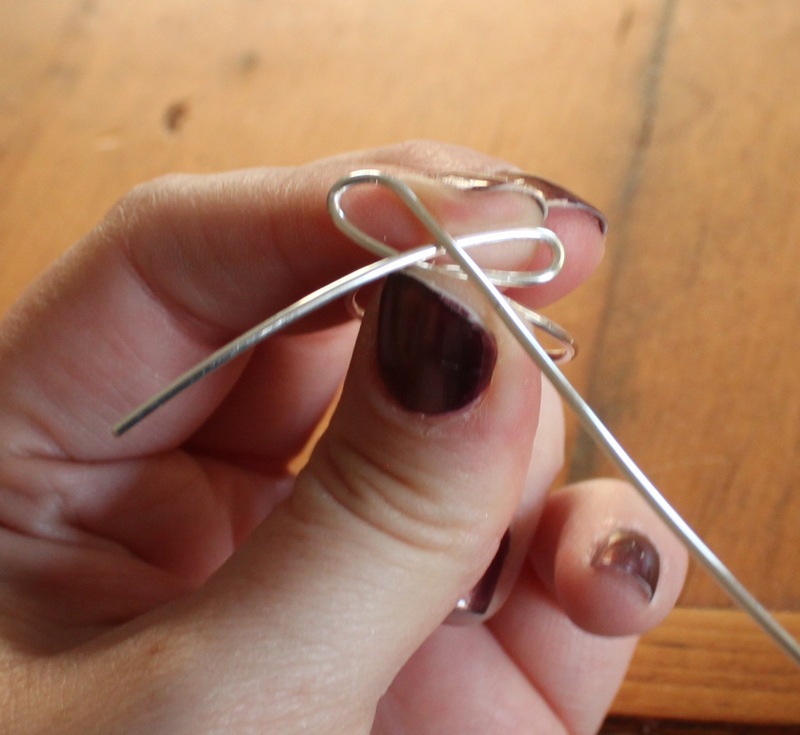 One of my favorite crafty sites for inspiration right now is I Spy DIY. 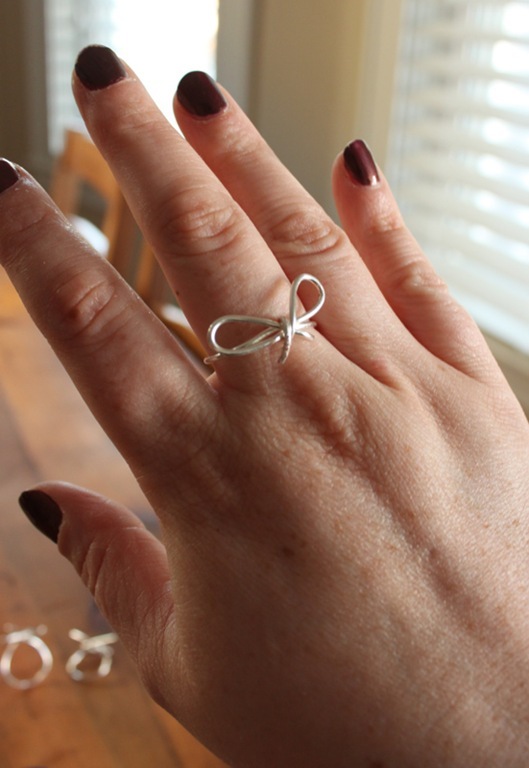 I recently came across their wire bow ring how-to and thought it was too darling not to make. 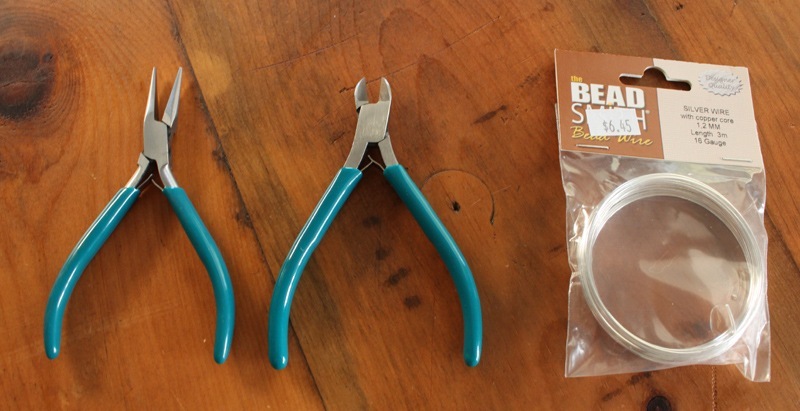 I’m going to do my best to write out my own instructions here but definitely check out theirs too. 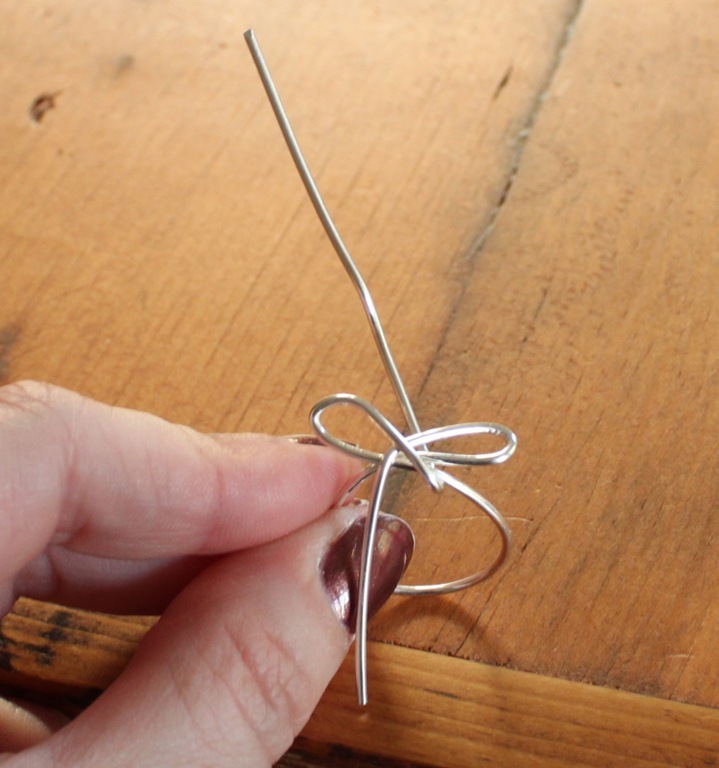 Start by cutting a piece of wire about 4 inches long. 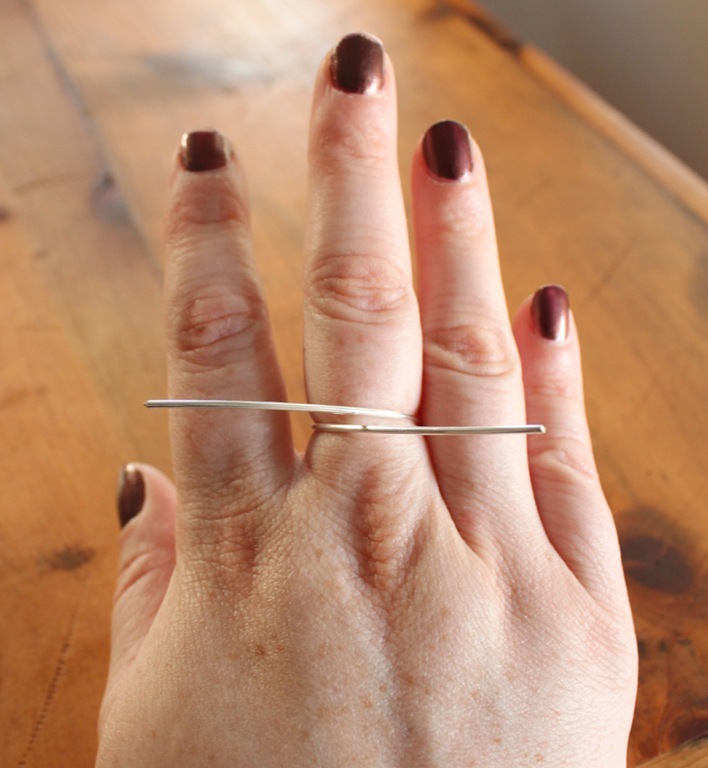 Wrap the wire around the finger you’d like to make the ring for. 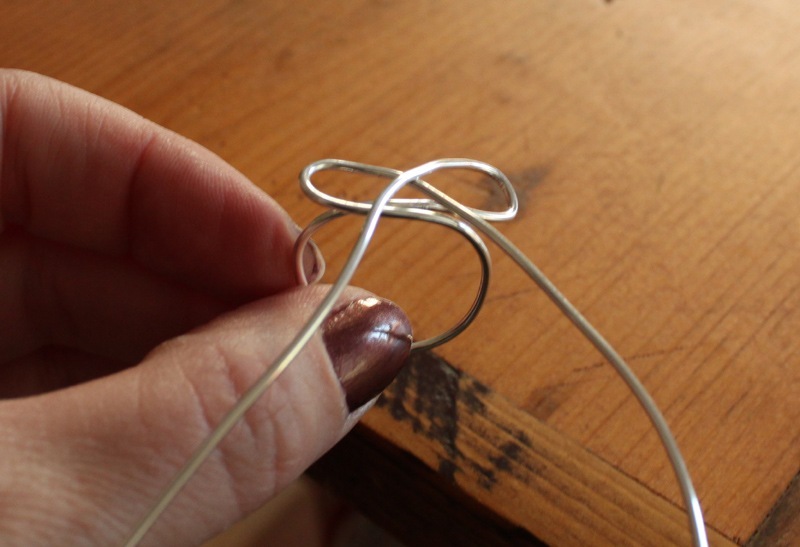 Work the wire around your finger carefully, creating a circle as evenly as you can. 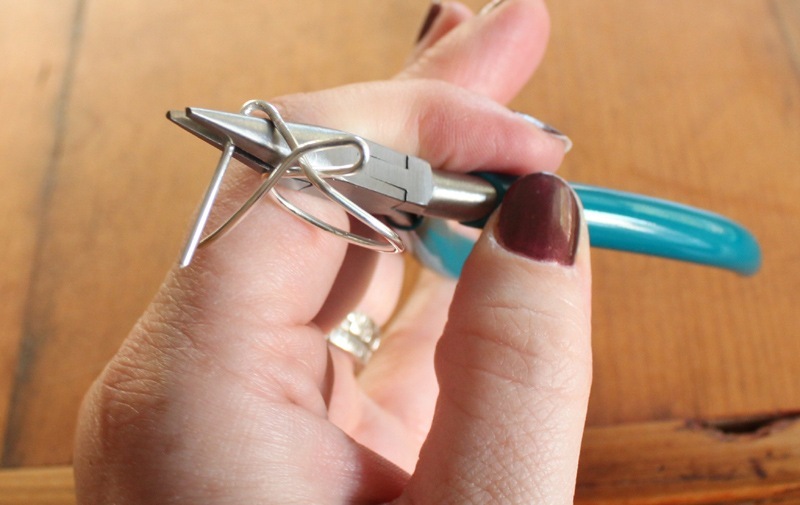 With the needle nose pliers, create two loops that criss-cross to form a bow. 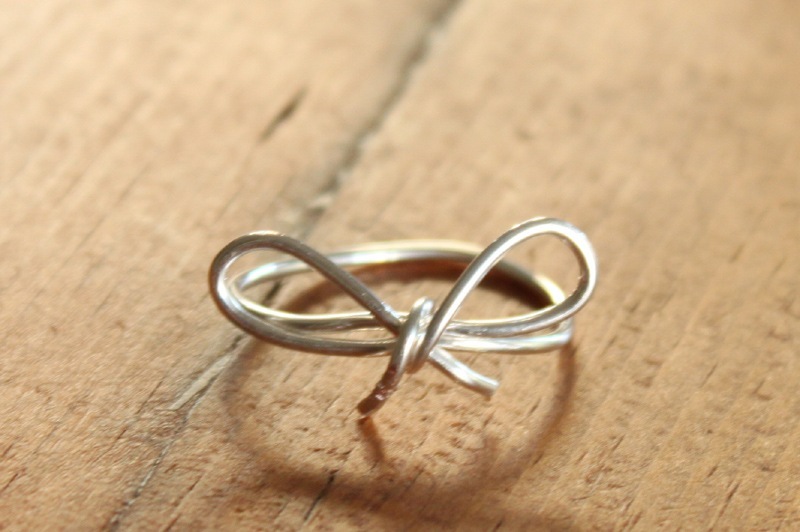 When you have the bow shaped you’ll notice it will be sticking out a little from the ring. 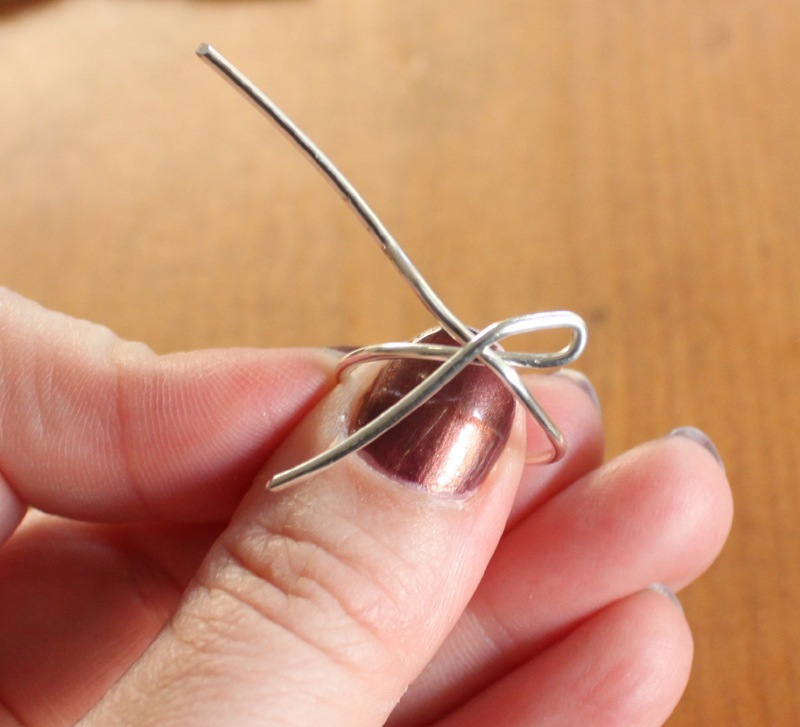 With the pliers, work the excess wire up and around the center so that it wraps around the middle of the bow once. 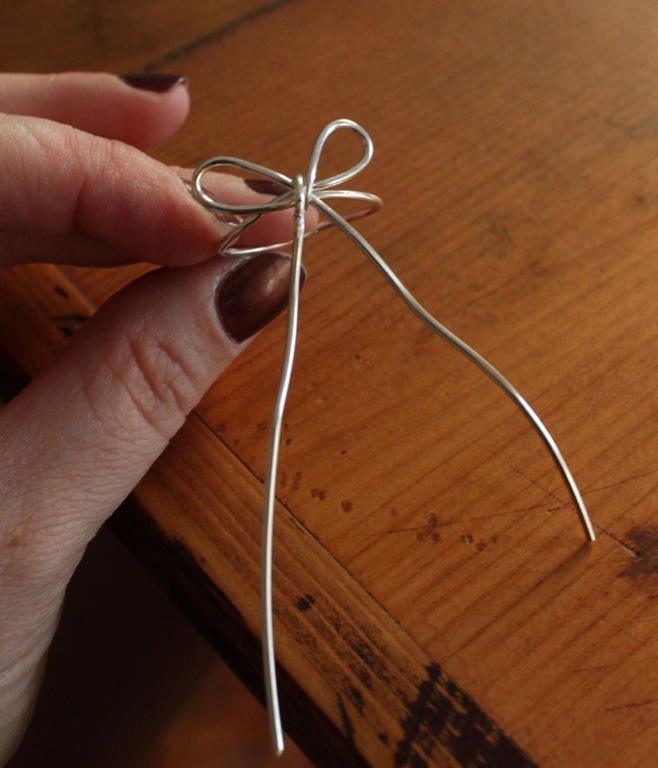 Use the pliers and your fingers to make sure the wire is tight around that middle section. 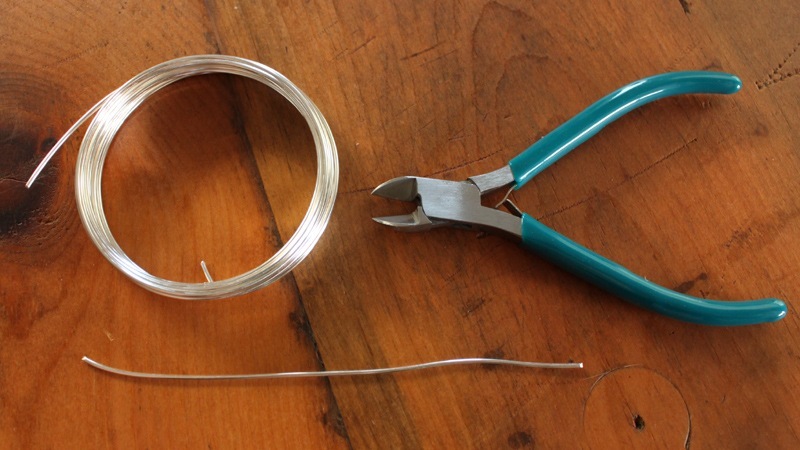 Trim the excess wire back with the wire cutters. You can make this as long or short as you like however shorter is better, I think (less catching on clothes, hair, etc.). 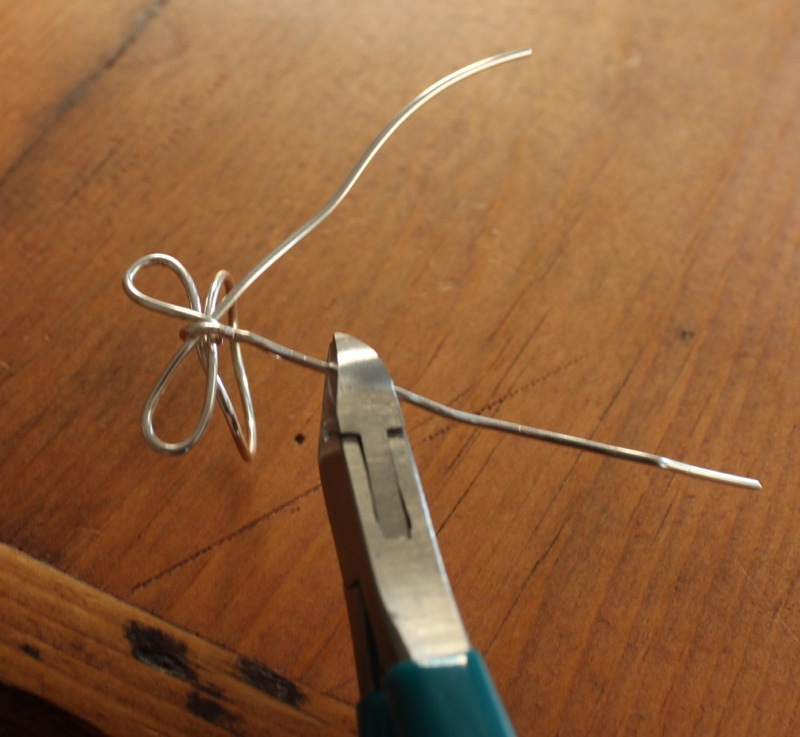 Use the pliers to bend the remaining wire inward. 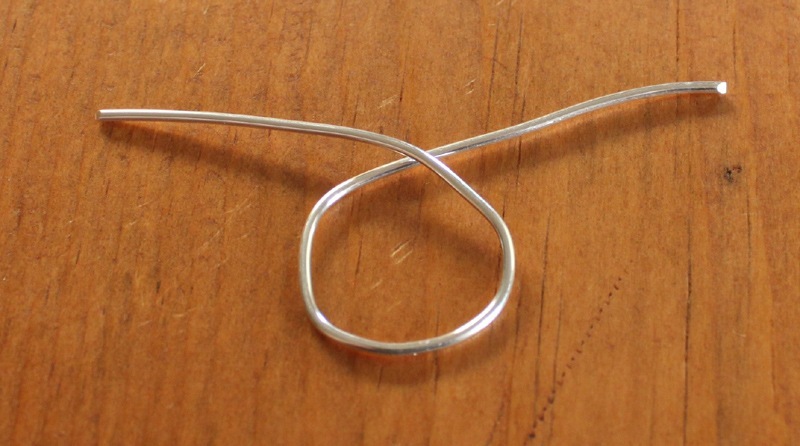 Again, so it doesn’t catch on anything and because I think it creates a little more dimension/movement with the bow.